Thirty-two measures of bliss. Laughter, stories, butting heads, how-was-your-day, three little sons, I-can’t-believe-you-just-said-that, where’s the cat, wait-‘til-you-hear-this snippets of dinner conversation. Tonight we celebrated our classic 32-year run with a classic cocktail. 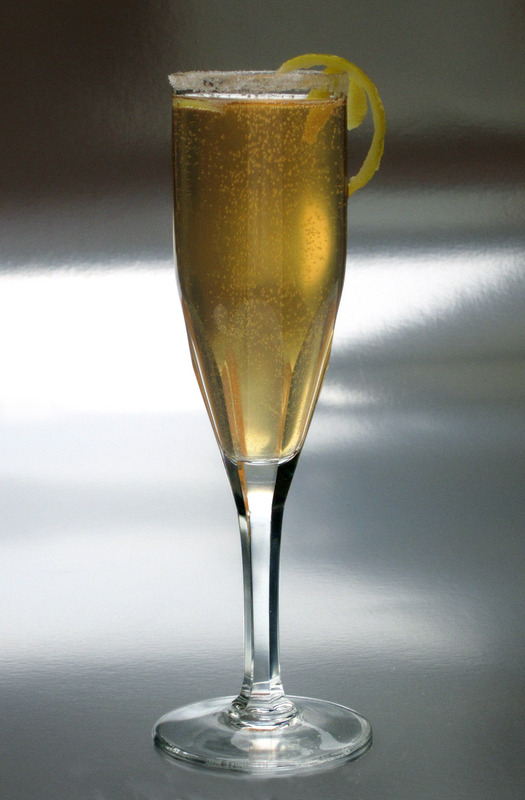 Pour the cognac, squeeze the lemon, pour the champagne. Toast, sip. Love. Evelyn "Champagne" King's "Boogie Oogie Woogie"
Cute post! You guys are the best! Happy Anniversary! Enjoyed the post. Never heard of a French 75 so will definitely have to try it - sounds great.